If you are planning a corporate team building event, work or family party, why not speak to Pat's Bouncing Castles to provide your marquee or Bouncing Castle. 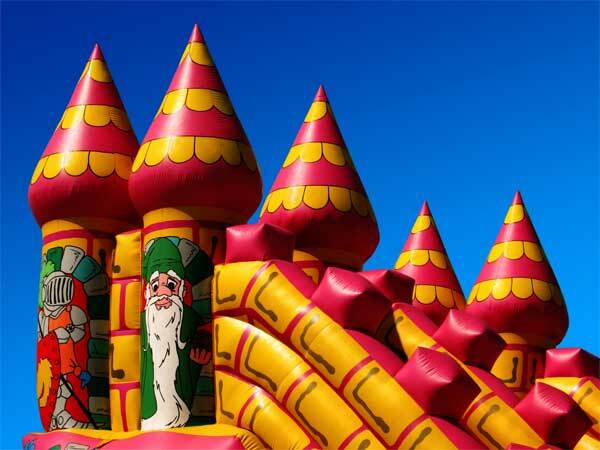 With over 10 years of experience to date, Pat's Bouncing Castles are ideally placed to offer our professional clients a level of service that is second to none. We can come to your event at your desired time to set everything up ahead of your guests arriving and our collection times are flexible for your convenience. All of these services come at competitive pricing. As so much of our business is word of mouth, Pat's Bouncing Castles endeavour to offer our customer a premium service every time they approach us for a party. Choose Pat's Bouncing Castles today for professional corporate hire. If you would like to learn more about the comprehensive range of products and services available from the team at Pat's Bouncing Castles, please do not hesitate to get in contact with one of our members of staff, who will be more than happy to assist you with any queries you may have regarding bouncing castle hire, marquee hire and corporate event hire. Just give us a call on 086 872 9704 or alternatively you can send us an email at info@patsbouncingcastles.com. We’d love to talk to you.